An interplay of positive and negative shape. 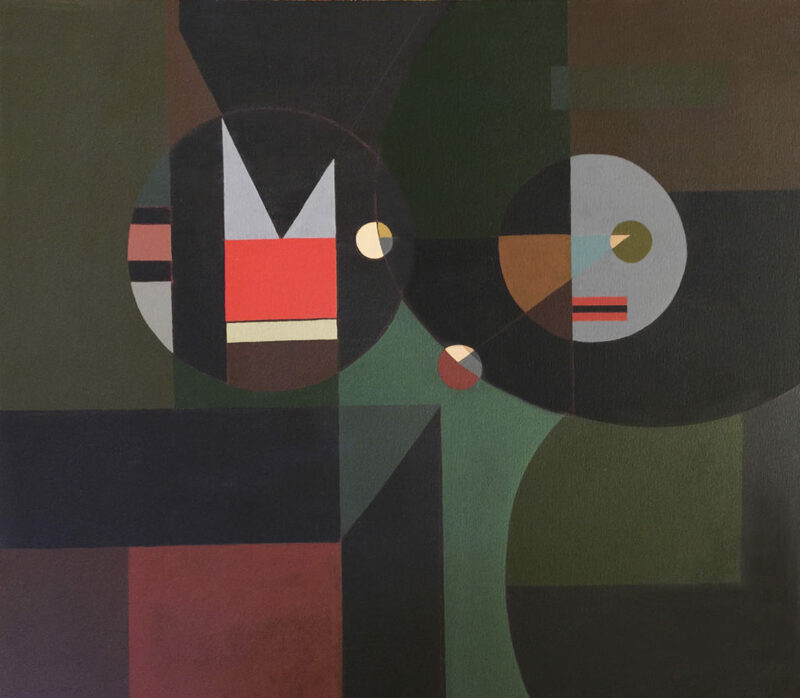 This painting started out as a non-objective composition of linear shape on a black canvas. As I painted in some of the shapes I noticed two figures emerging so I decided to accentuate them making one male and one female. The amount of unoccupied black areas versus the coloured positive areas are close to equal in order to create a strong interaction between figure and ground.